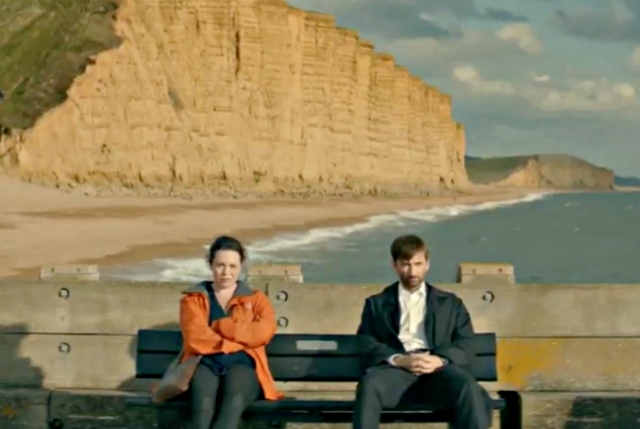 Nowadays the iconic image of West Bay’s East Cliff has become synonymous with the hit TV series Broadchurch. But what other television programmes were filmed locally, before the days of Broadchurch? It turns out there have been several television crews in West Bay and West Dorset over the years. Here’s a quick round-up. Do you remember another drama series which gave West Bay a little bit of fame for a while? 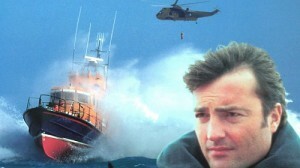 The short-lived BBC series Harbour Lights ran from 1999 to 2000. It’s main character was harbour master Mike Nicholls (Nick Berry) with police officer Melanie Rush (Tina Hobley) and the money grabbing villain Tony Simpson (Gerard Horan). The harbour, with its characteristic kiosks, fishing boats, pubs and restaurants, was often visible. During filming Nick Berry was spotted in the local nightclub, DeVinchies, now the Spar supermarket on West Bay Road! 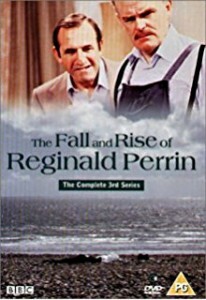 Going back a little further in time, the BBC series The Fall and Rise of Reginald Perrin (1976 – 1979) deserves a special mention. Reginald Perrin, played by Leonard Rossiter, runs into the sea in West Bay in the opening credits, having left all his clothes on East Beach. The BBC made the classic series again in 2009, this time with Martin Clunes in the title role. However this remake used Worthing beach instead of West Bay for that famous scene. I don’t know, the star being a local chap too! 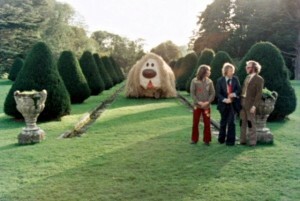 In 1975 The Goodies filmed a special called The Goodies Rule – OK. During the episode a huge Dougal, the dog from The Magic Roundabout, charges up behind them. As Graeme Garden tries to ride the giant animal, and Tim Brooke-Taylor is run over it, Bill Oddie grapples with an enormous Zebedee from the same programme. The trio guide Dougal and Zebedee back to a country house. This scene was filmed at Parnham House near Beaminster. Sadly this sixteenth-century house was gutted last year in a huge fire. Arson was suspected. The police concluded their investigations after the owner was found dead in Switzerland a few months later. Another episode, The Goodies and the Beanstalk (1973), filmed scenes on Portland and in Dorchester. 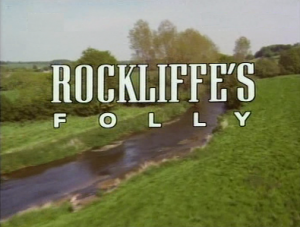 The short-lived BBC police serial Rockliffe’s Folly (1988) was a spin off from the popular London-based series Rockliffe’s Babies. A fed-up Scotland Yard detective played by Ian Hogg moved to the provinces for a change of pace. He transferred to the Wessex Police Force, finding the country has plenty of crime problems of its own. Weymouth portrayed the central setting of “Maidenport” and the police station seen was Dorchester’s. The series used Bridport for town scenes, along with the surrounding countryside. In 1996 the mini-series Gulliver’s Travels was filmed along the Jurassic coast. It had a star-studded cast including Ted Danson and Omar Sharif. The series won five Emmy Awards. Hugh Fearnley-Whittingstall’s popular River Cottage series on Channel 4 was originally filmed near Bridport. 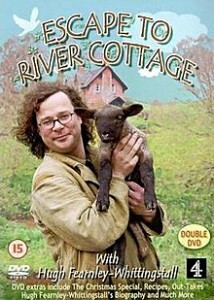 In the first series, Escape to River Cottage (1999), Hugh left London to pursue an ambition of self-sufficiency, growing his own vegetables and raising his own animals at a gamekeeper’s cottage near Netherbury. In 2004 Hugh set up a new business from old dairy buildings near Broadoak, Bridport. This was shown in the series Beyond River Cottage. Hugh is an enthusiastic fan of the local countryside and the series captured Dorset’s rural charm. Episodes were shot all around the county, ranging from cooking sea bass on the beach with local fisherman to selling produce at the farmer’s markets. Hugh was off again in 2006, this time moving River Cottage HQ to a bigger site in East Devon. In April 2008 several members of the EastEnders‘ cast, including Barbara Windsor, spent five days shooting scenes in Weymouth, shown in July 2008. In the 1970s Formula One driver Jackie Stewart made a Dunlop tyre advertisement where he raced down the old West Pier in West Bay and slammed on the brakes at the end. He insisted on boats being positioned in the water in case he skidded and overshot the pier. The pier has since been demolished and replaced by the Jurassic Pier. 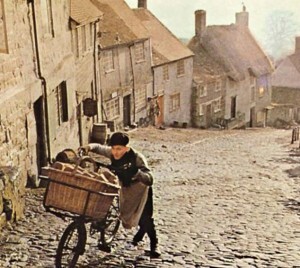 A bit further afield, Gold Hill in Shaftesbury became famous when it featured in the Hovis advert in 1973. It was directed by Ridley Scott and has been voted Britain’s favourite advertisement of all time. Is that tune playing in your head? I wonder how many of these TV programmes and adverts you have seen? Do you remember spotting any of the local sights? If you know of other TV series with scenes around West Dorset please leave a reply and let me know. If you’ve read this and fancy a holiday in the area too we’d love to welcome you to West Bay Cottage. Please take a look inside the cottage or head to our Enquire and Book page for availability, the rates and how to book. ← Why Book Directly With The Owner?